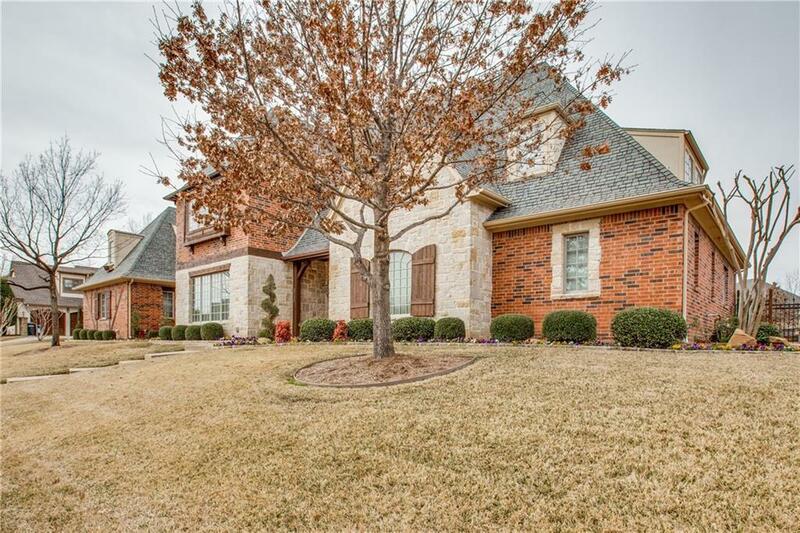 Beautiful English style custom home located on an over-sized, premium corner lot in Kings Mill. 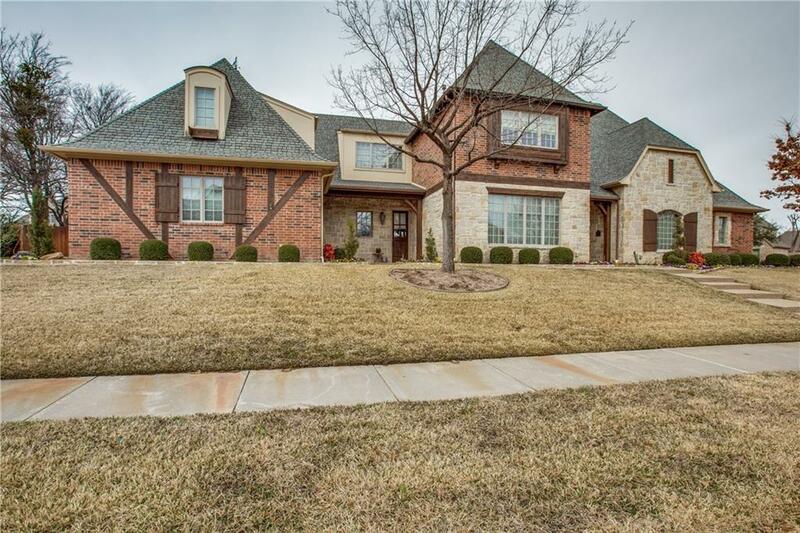 This home has many features including newly re-stained hardwood floors, wood ceiling beams throughout, vaulted ceilings, 3 stone fireplaces, 2nd master suite, guest suite, wrought iron staircase, multiple staircases, crown molding, a large upstairs game room with wet bar and tons of storage space. Kitchen features over-sized island, commercial grade gas stove top with double oven, stainless steel appliances, tons of cabinet space and a farm sink. 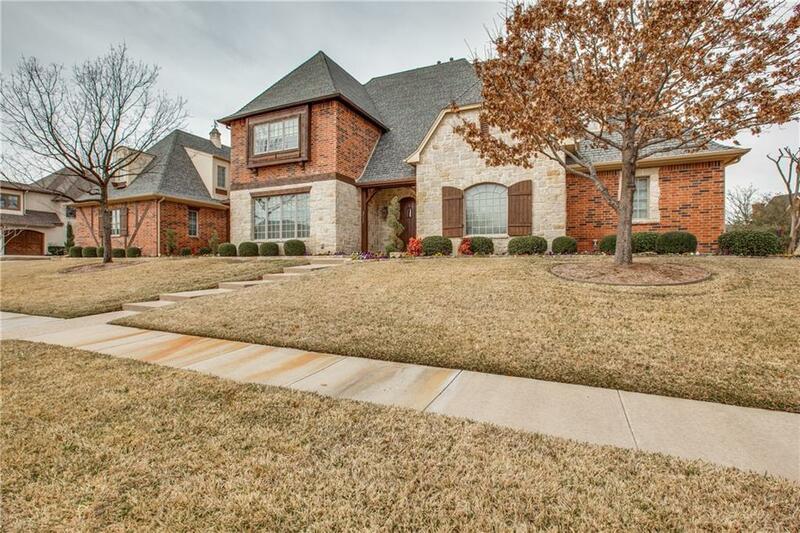 Relax outdoors with a sparkling pool, spa, large covered patio, fireplace, beautiful landscape and a huge backyard. This is a must see! 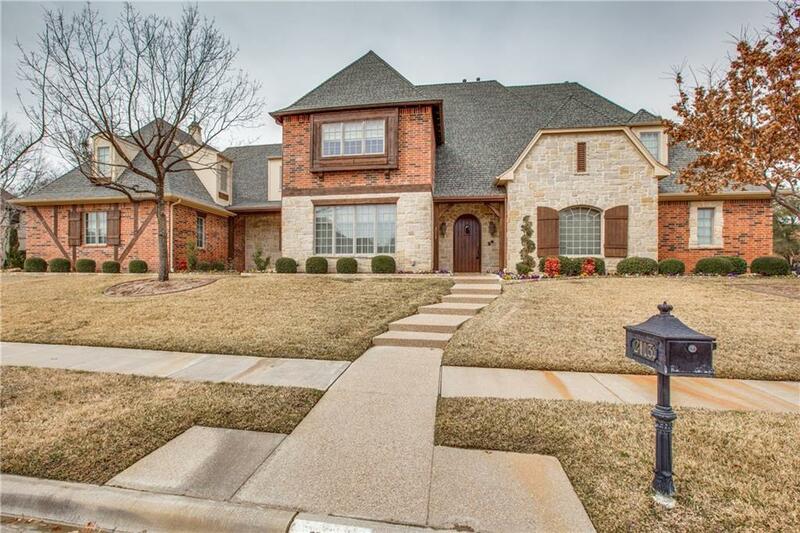 Offered by Beatrice Due of Dfw Urban Realty, Llc.